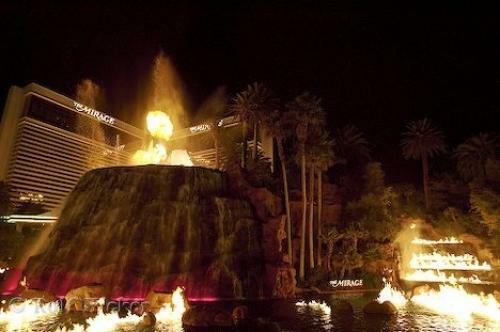 A stunning photo of a volcano erupting outside the Mirage Hotel and Casino in Las Vegas, Nevada. The Mirage Hotel and Casino, Volcano, Vegas Strip, Las Vegas, Nevada, USA, North America. Photo of the Mirage Hotel and Casino with a vulvano erupting at night, on the Las Vegas Strip in Nevada, USA. Pictures from photo gallery "All Pictures"
E-Mail Address* - we DO NOT distribute any email addresses!